In early January, the U.S. Department of Labor (DOL) published a fact sheet that lays out how the agency is aligning its policy on intern employment status with new rulings by several U.S. appellate courts. Previously, it would've been much harder to bring interns on board without having to pay them minimum wage and overtime. Employers had to satisfy several tests to prove that interns weren't subject to Fair Labor Standards Act (FLSA) protections. The new standard relies instead on a "primary beneficiary" test that's grounded in "economic reality," according to the DOL. If an unpaid intern (or one whose pay was less than that dictated by the FLSA) asserts that he or she should be covered by the FLSA, the Labor Department's Wage and Hour Division would weigh the following seven factors. 1. The intern and the employer clearly understand that there's no expectation of compensation. Any promise of compensation, expressed or implied, suggests that the intern is an employee — and vice versa. 2. The internship provides training such as that would be given in an educational environment, including the clinical and other hands-on training provided by educational institutions. 3. The internship is tied to the intern's formal education program by integrated coursework or the receipt of academic credit. 4. 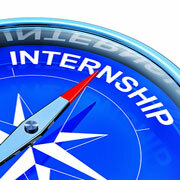 The internship accommodates the intern's academic commitments by corresponding to the academic calendar. 5. The internship's duration is limited to the period in which the internship provides the intern with beneficial learning. 6. The intern's work complements, rather than displaces, the work of paid employees while providing significant educational benefits to the intern. 7. The intern and the employer understand that the internship is conducted without entitlement to a paid job after the conclusion of the internship. Also, under the above test, "no single factor is determinative," the DOL explains. Rather, a determination will be made based on "the unique circumstances of each case." Clearly, under these guidelines, an internship still must be a two-way street. And as a practical matter, an internship program — particularly an unpaid one — will need to appeal to prospective interns based on what they'll learn from it. Otherwise, they won't apply. Enhance the loyalty of employees whose own children and relatives are selected as interns. Keep in mind that while the typical internship involves students, interns can also include working-age people who are seeking a career change. Retirees and pre-retirees may wish to take on an internship to stay engaged in the working world, learn new skills and interact with others. SHRM recommends that internship programs be created and assessed with the same degree of rigor as other important organizational initiatives. That means establishing a set of goals that are specific, measurable, attainable, relevant and time-bound, also called "SMART goals." Examples of SMART goals could include enhancing or building a reputation as a "best local place to work." Another goal, suggested by SHRM, might be "obtaining candid feedback about organizational problems and overlooked opportunities and talents." Finally, here are a pair of internship caveats. First, be careful not to bump up against any child labor laws. Federal requirements are relatively minimal. However, state child labor laws vary widely and must be reviewed prior to launching an internship program. The second caveat is that interns, particularly when they're not paid, sometimes consider themselves exempt from the workplace policies applicable to regular employees (such as an existing dress code). Generally, interns should be held to the same standards that you expect from employees. Just be sure to spell out those standards from the beginning. As noted, the DOL's new flexibility with respect to internships doesn't give you carte blanche to ignore interns' needs and expectations about the benefits they'll derive from the program. But the value proposition of an internship from an employer perspective may be stronger than ever. You can improve your chances of avoiding legal challenges if you consult a qualified attorney before launching an internship program.